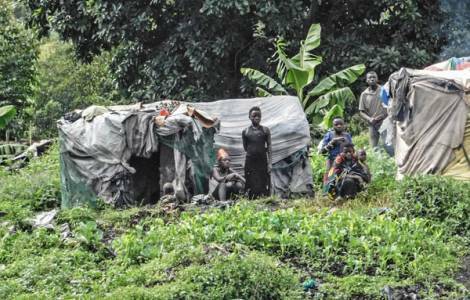 Bujumbura (Agenzia Fides) - The Batwa, an ethnic group which represents about 2% of population in Burundi, is a community still strongly discriminated against in a country that was torn apart by a civil war until 2005 and which remains one of the poorest countries in the world. This community is recognized by the national Constitution as the third ethnic group. It is a minority that has no rights. The majority are illiterate and live in very precarious housing structures. With the decrease of traditional sources of income such as hunting, ironwork and pottery, this population survives mostly by begging. To cope with this emergency, there are various initiatives by the Church and civil society to take care of this "forgotten minority". Bishop Joachim Ntahondereye, of the diocese of Muyinga, promotes the development of the Batwa Pygmies in Gisanze, continuing the work which was started by Xaverian missionary Fr. Fiore D'Alessandri, who died in Gisanze, to help these "poor among the poor". The local Church promotes the schooling of children and takes care of the construction of small houses in order to allow families to leave the unhealthy huts in the forest. It aims to contribute to the well-being of the small ethnicity of the Pygmies - Batwa, forgotten by everyone. Even the Missionaries of Africa (White Fathers) in Burundi are committed to improving the housing conditions of the Batwa. The "Batwa House Project" aims at guaranteeing community land for dozens of families, freeing them from the condition of semi-slavery in which they find themselves. Another project of solidarity is "Harambee", which in Swahili means "All together" which aims to help 100 Batwa women between 18 and 30 years of age who want to offer their children the opportunity to study. Fifty children will benefit from the initiative. Education, in fact, represents for them the only possibility to build a better future.